In our part of the country, heat pumps can be a year-round comfort system. Heat pumps can provide dependable warmth when temperatures drop into the 30s, as well as consistent, energy-efficient cooling on hot days. 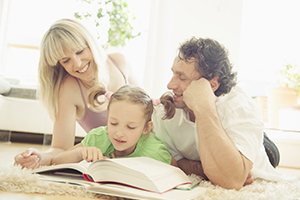 Heat pumps offer an energy-efficient alternative to furnaces and air conditioners. Like a refrigerator, heat pumps use electricity to move heat from a cool space to a warm space, making the cool space cooler and the warm space warmer. During the heating season, heat pumps move heat from the cool outdoors into your warm house and during the cooling season, heat pumps move heat from your cool house into the warm outdoors. Because they move heat rather than generate heat, heat pumps can provide equivalent space conditioning at as little as one quarter of the cost of operating conventional heating or cooling appliances. Just as important as which heat pump system you buy is who you choose to install it; Broward technicians have installed hundreds of systems with a 100% satisfaction guarantee. Whether you are replacing your old system or are curious about heat pump technology and pricing, contact us and one of our highly trained heat pump experts will get right back to you.